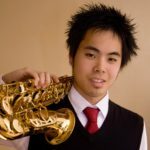 Michael Morimoto, soprano saxophone, completed his bachelor of music in performance at the University of Alberta. Michael then studied at the Conservatoire de Cergy-Pontoise with Jean-Yves Fourmeau, receiving the Medaille D’or, the Conservatory de Versailles with Vincent David, and with Marie-Bernadette Charrier at the Conservatoire de Bordeaux. He received his Master of Music from UBC studying with Julia Nolan. He has been awarded first place in many competitions: the University of Alberta Wind Ensemble Concerto Competition; the University of Alberta Symphony Orchestra Concerto Competition; the National Music Festival of Canada; and the University of British Columbia Concerto Competition. He was a semifinalist in the 2014 North American Saxophone Alliance Solo Competition and in the 2016 CMC Stepping Stones Competition. Michael has been featured as a soloist with the University of Alberta Symphonic Wind Ensemble and Saxophone Ensemble, the University of Alberta Symphony Orchestra, the UBC Symphony Orchestra, and the Vancouver Academy of Music Symphony Orchestra. the Pacific Symphonic Wind Ensemble, Douglas College Concert Band, Flying Tonkatsu Ensemble, and is the founder of the Phoenix Music Studio. 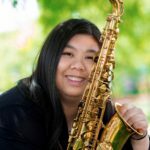 Tina holds a Bachelor of Music from the University of British Columbia, where she completed her saxophone studies with Dr. Julia Nolan. 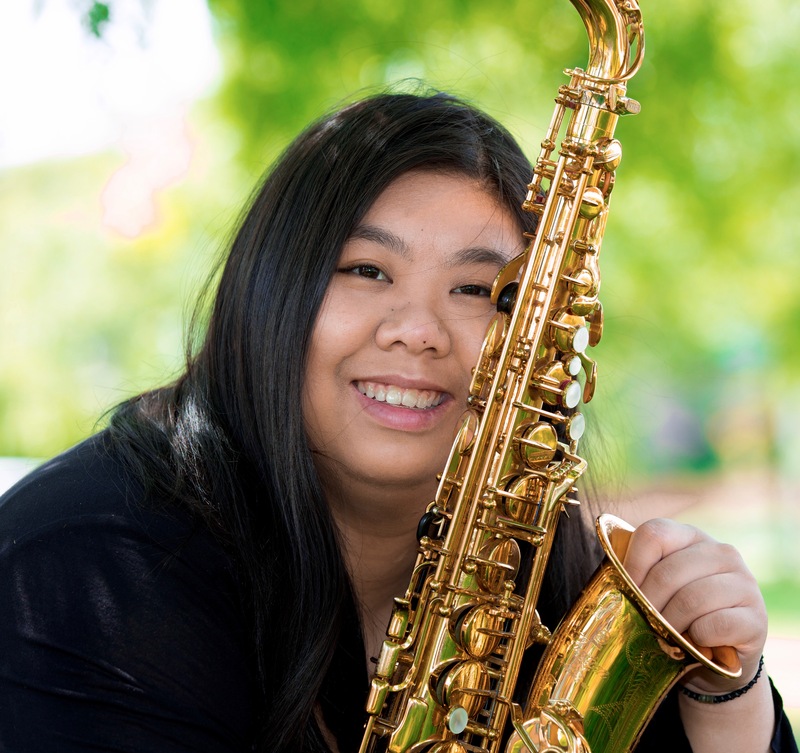 Tina has also studied with some of the finest international saxophonists: Eugene Rousseau, Timothy McAllister, Otis Murphy, Kenneth Tse, Chien-Kwan Lin and Carrie Koffman. She is currently completing her Artist Diploma at the Vancouver Academy of Music with Michael Morimoto. 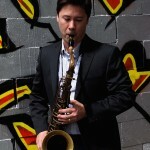 Bryan Canuel, tenor saxophonist, has a degree in music from the University of British Columbia and a degree in Communications from SimonFraserUniversity. Bryan studied with Julia Nolan, David Branter and Colin MacDonald. 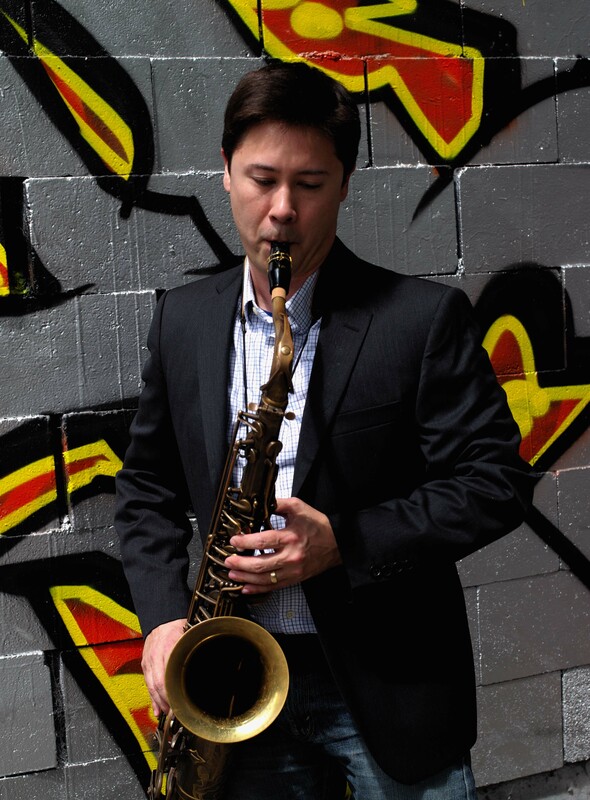 Since 2005, Bryan has performed on his sterling silver Yanagisawa alto saxophone with the Pacific Symphonic Wind Ensemble and is delighted to play his Trevor James “RAW” tenor with his colleagues in Sax Noir. with the Vancouver Island Symphony, the Pacific Symphonic Wind Ensemble, the The Band of the 15th Field Regiment, Royal Canadian Artillery, Pacific Blackwood Bass Clarinet Quartet, the Vancouver Saxophone Ensemble and is the proprietor of Sax Noir Studio. 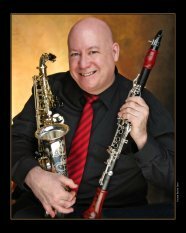 Chuck is a Backun Canada and a Conn Selmer artist performing exclusively on Backun MoBa Clarinets, Selmer Privilege Bass Clarinets, Yanagisawa Silver Sonic Saxophones and Morales-Backun bells and barrels and mouthpieces on all clarinets; he uses Legere reeds on saxophones. Chuck is a Canadian Champion for Music Education, a spokesman and performer for the Coalition for Music Education.